Tethered satellite systems (TSS) are characterized by ununiform distribution of mass characteristics of the system and the environment parameters in space, which necessitates the use of mathematical models with distributed parameters. Simulation of such systems is performed with the use of partial differential equations with complex boundary conditions. The complexity of the boundary conditions is caused by the presence of the end-bodies that perform spatial fluctuations, and by the variable length of the tether. As a result computer simulation of TSS motion takes a long time. 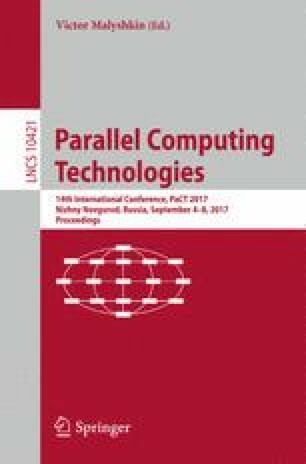 This paper presents a parallel algorithm for motion simulation of the TSS and representation of this algorithm in the form of a graph model in graph-symbolic programming technology. The main characteristics of the proposed algorithm and the advantages of using graph models of algorithms for modeling the motion of the TSS are discussed. The work was partially funded by the Russian Federation Ministry of Education and Science and Russian Foundation of Basic Research. Grant #16-41-630637.